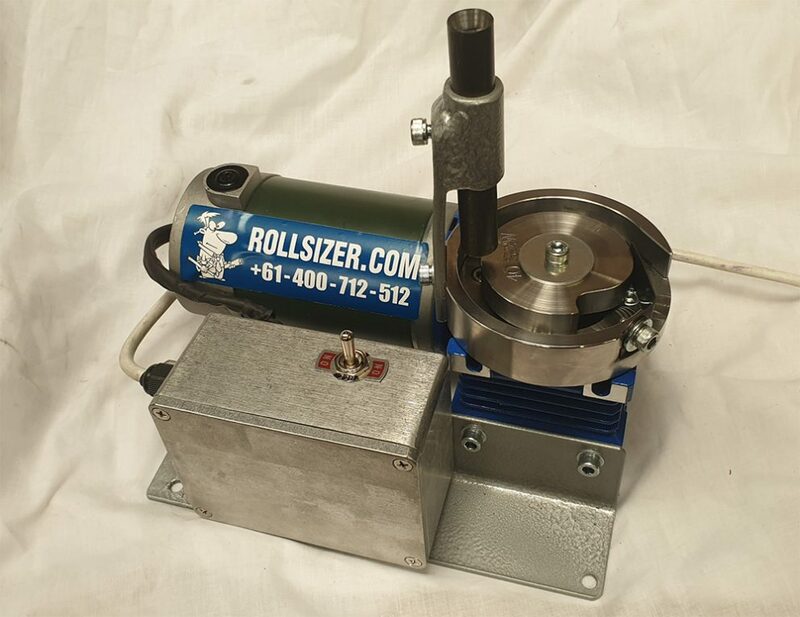 Rollsizer base unit only, no calibre conversion no droptube included. 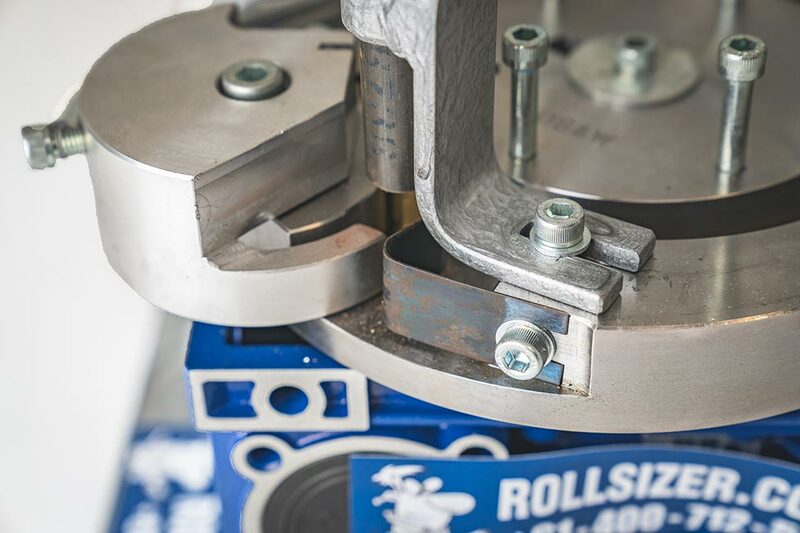 The rollsizer removes the bulge in the base of the fired case to bring the case back into specification to allow reliable case gauging and ammunition reliability. 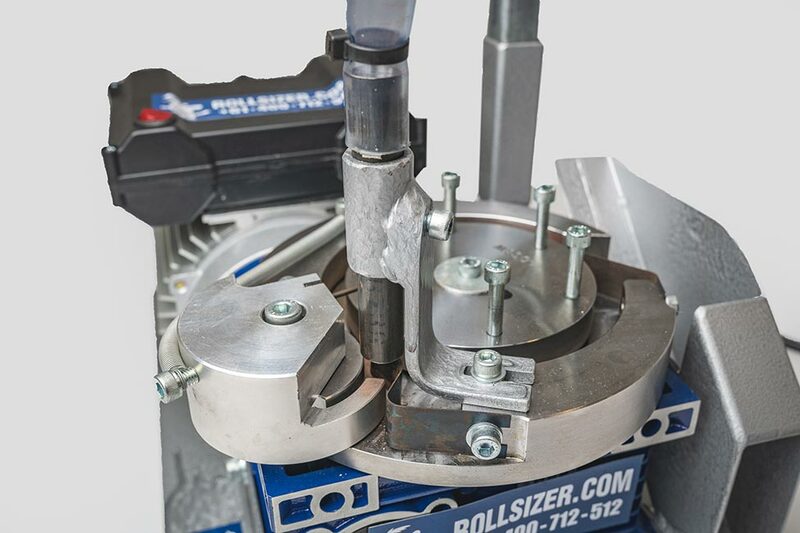 The rollsizer removes the bulge in the base of the fired case to bring the case back into specification to allow reloading. Removing the bulge brings the base of the case back into specification, when combined with the normal sizing dies the case will be meet SAAMI specifications. Calibre options include most pistol calibres as well as 308 and 223/5.56 rifle calibre and hybrid cases based oin those cases. Subject to a suitable casefeeder, the processing speed on pistol cases is up to 6,100 cases per hour, rifle cases up to 4,000 cases per hour. 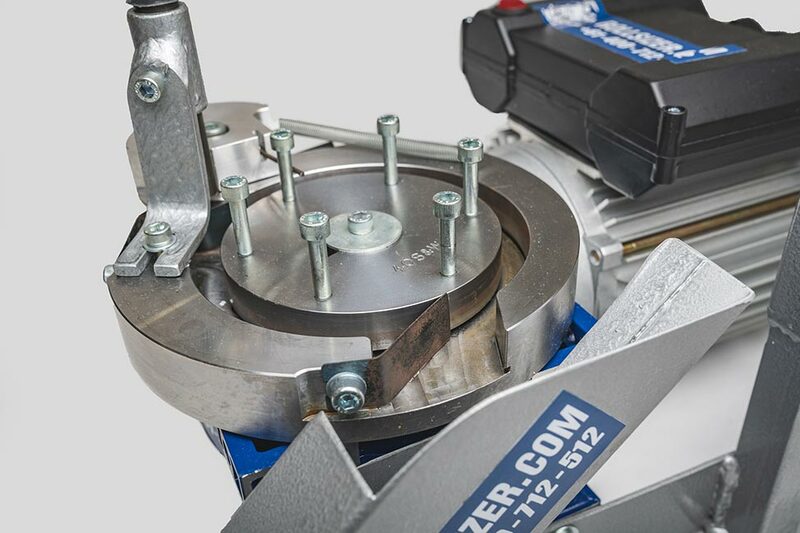 The machine is commercial grade supplied with a 12 month replacement warranty for the major components (motor, gearbox, rolling discs and case push assembly). The major components are conservatively sized and the working components will last many years service free, if for some reason something breaks we can replace it but we will require a return to a depot/freight facility (based in the US for US buyers). 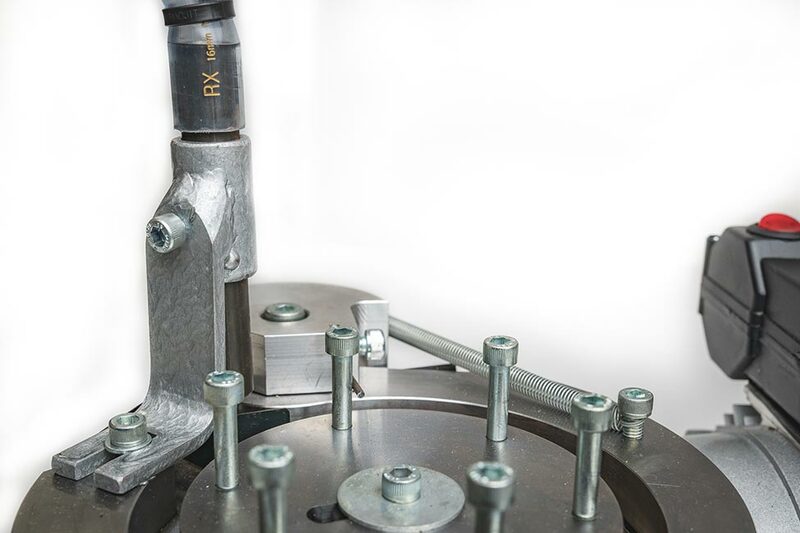 Some spares are supplied with the machine and include retention springs, activation levers and case push return springs. USA specification 110VAC motors supplied with a heavy duty 3 pin lead 1.2m long. Australian motors supplied with 3 pin x 1.4m long lead. I had a ‘brass processing party’ with a group of my fellow USPSA team mates last weekend. We cleaned & roll-sized SO MUCH BRASS! Several of the folks have roll sizers, but not automated like this. They were all very impressed. I also want to mention the great communication between the company’s owner through the buying process and post receipt of the product. Happy to help Brian, Please look up the manual available online or email / message me with any questions. 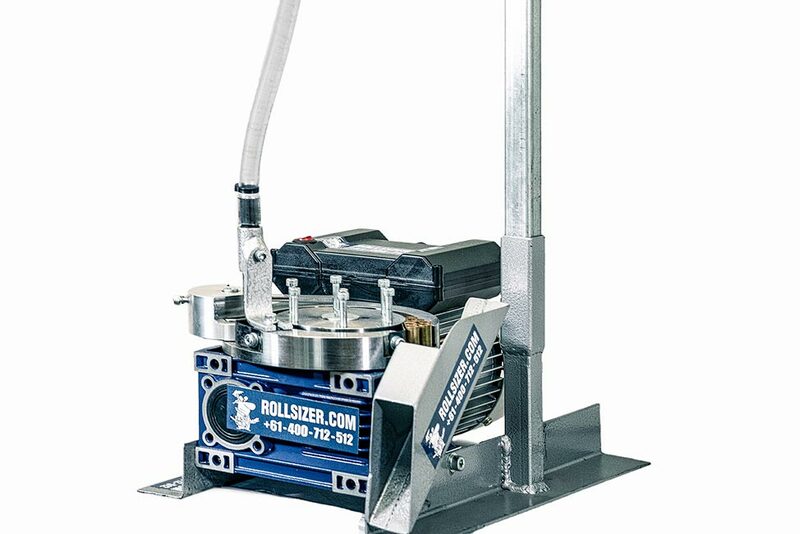 Manual Rollsizer suitable for most pistol calibres. 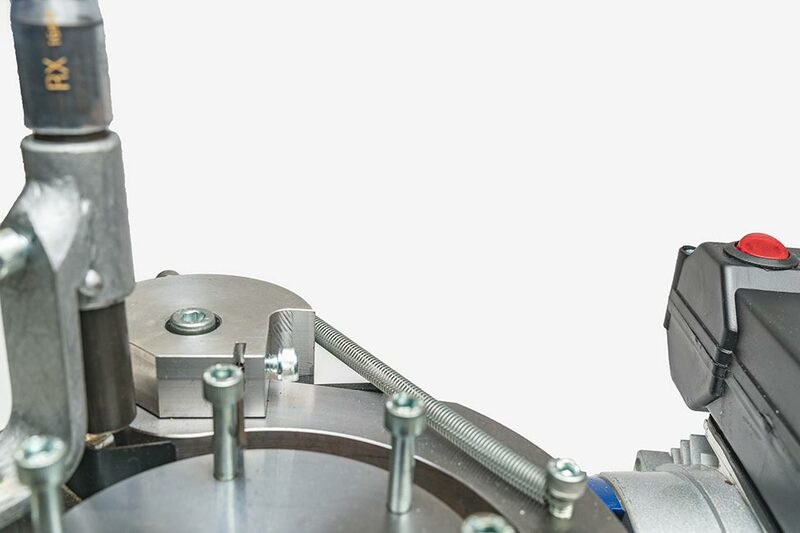 The manual rollsizer is a compact rollsizer suitable for processing cases in small batches around 400-500 in one sitting (typically 30-40 minutes). 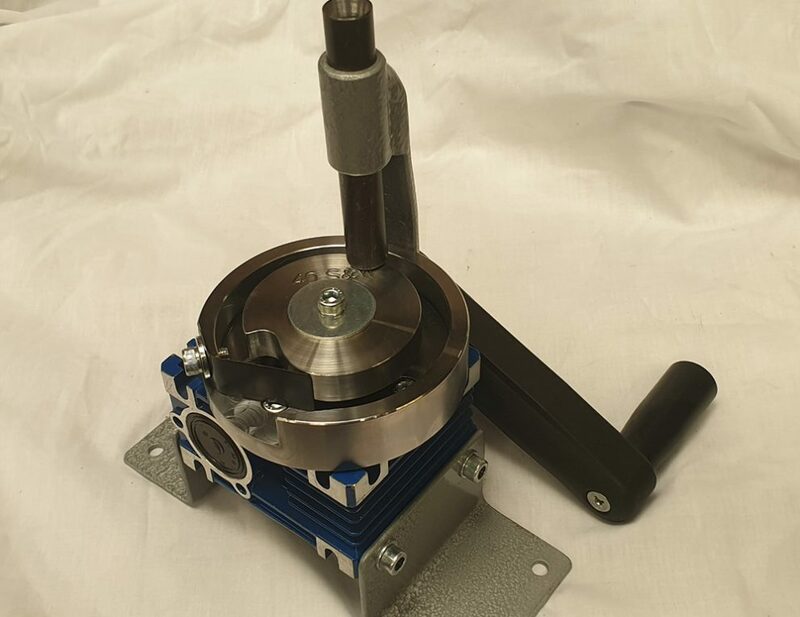 The manual rollsizer should be mounted to your reloading bench for the best results using G clamps or Self Tapping screws through the supplied mounting base.